Happy Halloween! 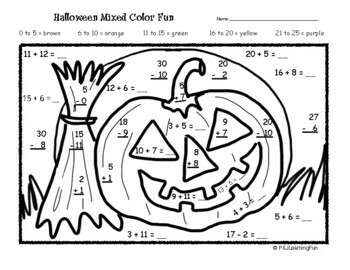 Your students will enjoy practicing math with this fun addition and subtraction worksheet! We love jack-o-lanterns and pumpkins!